It Has Just Come to our Notice on the most recent King Root App which is currently Blazing. This is the most recent variant of Kingroot V4.6.5. You all know what about Rooting. Download Install and Use King Root It’s just a way you tweak your phone to allow you enjoy lots of opportunities free browsing and call rates. With king root you can easily Upgrade from your old version of OS to the latest compatible one. However you can utilize it regardless of the possibility that you are running Lollipop OS. Step1. 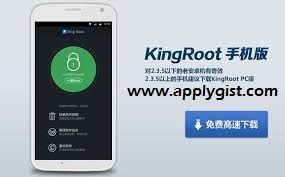 Download and Install KingRoot v4.6.5 on your device. After successful installation, start the application and wait for Kingroot to fully analyze your device. Step2. You will see the main window, the Chinese language Just click on the Big round green Button. Step3. By now you should see a tick mark in a green circle and the blue horizontal bar if so then Congratulation you just rooted your Phone.